These checklists will take the stress out of back to school season. Just print them out, and check off tasks as you complete them. I think I’ve included everything you need to do or think about before school starts, but just in case you need to add your own specific to do’s, I’ve also left extra lines on each page for them! 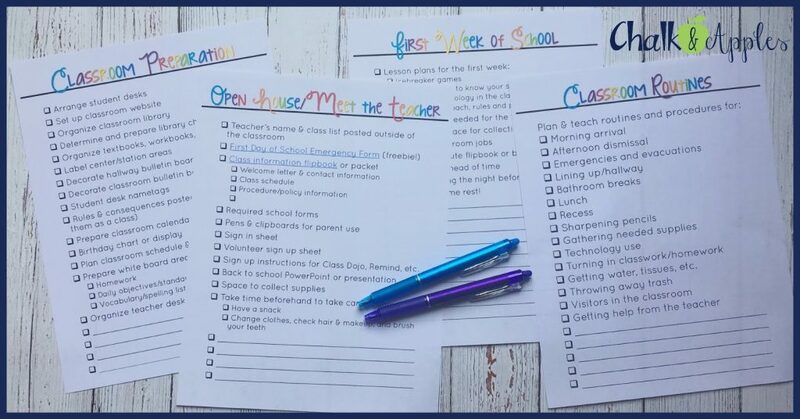 Along with your free checklists, I’ll also send you a week’s worth of Back to School organization tips to help you kick this school year off on the right foot, with less stress!